As September begins, Chicago’s two baseball teams have exciting games ahead. The White Sox are pushing for the playoffs, and have some important games against division rivals on the calendar. Meanwhile, the Cubs will have some of the future stars of the organization on display at Wrigley Field. The Sox enter September six games behind the division-leading Tigers, but have plenty of opportunities to catch and pass Detroit. After a seven-game road trip to begin the month (including three in Detroit), the Sox return to US Cellular Field for an enormous seven-game homestand. From Thursday, Sept. 8 through Sunday, Sept. 11, the Sox host the Cleveland Indians (who are currently in second place, one-half game in front of the Sox). Chicago’s postseason chances will become clearer between Monday, Sept. 12 and Wednesday, Sept. 14 when the Tigers and Sox play the final three games of their head-to-head schedule for the season. After an eight-game roadtrip, the Sox finish the 2011 season at home with three games against the Kansas City Royals (Sept. 23-25) and three against the Toronto Blue Jays (Sept. 26-28). One of the Sox players to watch down the stretch is Dayan Viciedo, who was called up late in August and has been hitting the cover off the ball. To buy tickets to any of the remaining White Sox games, click here. On the North Side, the Cubs continue to receive significant contributions from youngsters. Shortstop Starlin Castro is among the best shortstops in the National League. Entering September, Castro leads the National League with 173 hits and ranks 13th in the league with 77 runs scored. When the rosters expand, the Cubs are also expected to promote minor league first baseman Bryan LaHair. LaHair hit 38 home runs and drove in 109 runs in Iowa for the Cubs’ Triple-A affiliate this season, and should see plenty of action. The Cubs begin September with a six-game homestand against the Pittsburgh Pirates (Sept. 2-4) and Cincinnati Reds (Sept. 5-7). 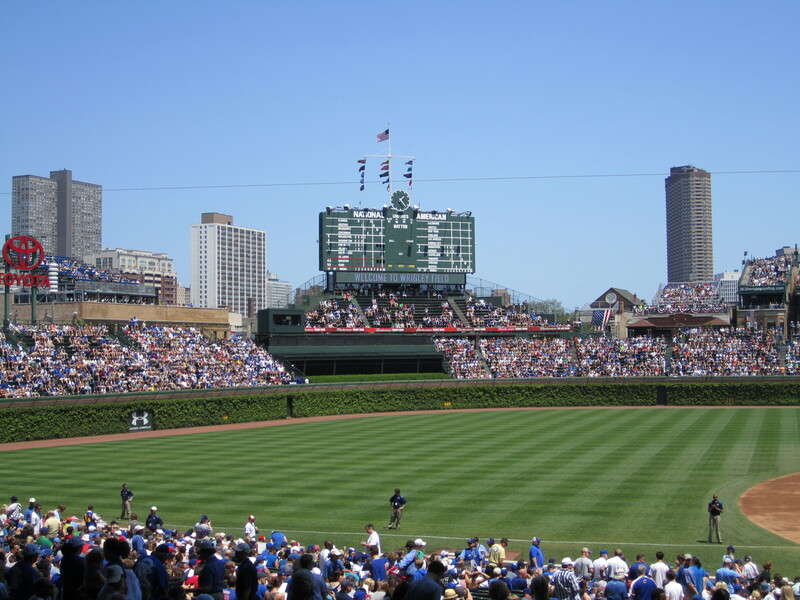 After a seven-game road trip, the Cubs return to Wrigley Field for their final home games of the 2011 season. The Houston Astros visit Wrigley from Sept. 16-18 before the Central Division-leading Milwaukee Brewers drive a couple hours south to renew the rivalry from Sept. 19-21. To buy tickets to any of the remaining Cubs games, click here. This entry was posted in Sports and tagged baseball, chicago, Chicago Cubs, Chicago White Sox, dayan viciedo, MLB, Starlin Castro. Bookmark the permalink.